Monticello anticipates firing up its own fiber network by the start of 2014. The News-Gazette reports the town of 5,300 plans to use the network to serve government offices. [Piatt County Board Member Randy] Keith said they also need to purchase high-speed Internet access, with one possibility being the Illinois Century Network. The state has installed about 1,000 miles of fiber along interstates in Illinois, including a swath that runs by Monticello. Hopes are that the project will put the city on the technological cutting edge. For the school system, it will speed up a district goal to allow every student in the district to be on a computer or handheld device at the same time. Platt County Courthouse used under Creative Commons license, courtesy of Dual Freq. California's Watsonville, population 51,200, joins the ranks of municipalities considering the benefits of a publicly owned fiber optic network to connect key facilities. At a September 10 the City Council passed a resolution approving plans and calling for an RFP for a next generation fiber network. Bids will be accepted until October 8, 2013. According to a Register Pajaronian article, the City Council expects the network to cost $480,000. An August 27 memorandum [PDF] provides more detail on the project. Charter Communications currently provides fiber optic I-Net service to Watsonville local government. The network provides data connections, Internet, gate controls, and security systems throughout the City. The fiber I-Net also provides backhaul for wireless systems for the police department and various remote city locations. As has happened many in states that have revoked local franchise authority, Watsonville's favorable long term cable franchise agreement with Charter is ending. Charter will no longer provide the I-Net services for no cost as part of its agreement to place its equipment in the public rights-of-way. Instead, it has proposed expensive lease options. Charter has offered two quotes: $43,115 per year for a reduced level of service and $149,153 per year for the same level of service the city now receives. The memorandum goes on to note that a reduced level of service would require reduction of some uses for the current network, such as eliminating a number of security cameras. City staff estimates that installation of a next generation network would cost approximately $480,000. They would connect the high school, the City Information Technology office, the Veterans Building, the local reservoir, the library, the airport and the fire station. Watsonville has a significant amount of fiber already in place for use in the citywide transportation system which will reduce the cost of installation. The project will be financed primarily with library and water enterprise funds and other city departments that connect will contribute to the project costs. The story has been updated to fix errors. The original story described the project as a partnership but we have since learned it is a project of the Kitsap Public Utility District that is encouraged by the City. We reported on Poulsbo, Washington, last fall after the community began a wireless pilot project providing a free high-capacity wireless mesh network throughout downtown. Kitsap Public Utility District is running the project, with encouragement from the City. An interview with Poulsbo City Council member Ed Stern filled in more details on this local project. A wireless mesh pilot project was not the original plan. The public utility district had been investing in a fiber optic network to reduce costs for local government and provide better broadband for schools and hospitals. Stern and other city leaders also recognized that encouraging telecommuting would keep local dollars in the community. Poulsbo is very close to Seattle and city leadership hoped to draw employees from Seattle offices and encourage economic development. They offered a high quality of life and knew better broadband would draw more employers to Poulsbo. The partners installed a fiber backbone throughout the city and had planned to expand last mile connections in the near future. Poulsbo also codified changes in conduit policy with new ordinances to better manage public rights-of-way. The code requires private providers to first use existing city conduit and the city reserves the right to lease it to them. This policy prevents unnecessary wear and tear and traffic disruption on local streets. However, the state legislature erected barriers that derailed the full project by revoking PUD authority to offer direct retail services. To this day, public utility districts are required to wholesale access, which rarely creates enough revenue to justify the initial cost of building networks. Community leaders knew that wholesale-only models carry more risk because they split an already tight revenue stream. With the change in state law, the community re-evaluated the fiber network plan. SHALL THE CITY OF CENTENNIAL, WITHOUT INCREASING TAXES, AND TO RESTORE LOCAL AUTHORITY THAT WAS DENIED TO ALL LOCAL GOVERNMENTS BY THE STATE LEGISLATURE, AND TO FOSTER A MORE COMPETITIVE MARKETPLACE, BE AUTHORIZED TO INDIRECTLY PROVIDE HIGH-SPEED INTERNET (ADVANCED SERVICES), TELECOMMUNICATIONS SERVICES, AND/OR CABLE TELEVISION SERVICES TO RESIDENTS, BUSINESSES, SCHOOLS, LIBRARIES, NON-PROFIT ENTITIES AND OTHER USERS OF SUCH SERVICES, THROUGH COMPETITIVE AND NON-EXCLUSIVE PARTNERSHIPS, AS EXPRESSLY PERMITTED BY ARTICLE 29, TITLE 27 OF THE COLORADO REVISED STATUTES? Over 40 miles of city-owned fiber run under major rights-of-way to manage traffic signals. Centennial hopes to utilize the excess capacity and work with private providers to bring connectivity to local businesses, municipal government, schools, libraries, and possibly residents. Like other Colorado communities, Centennial realizes its vitality depends on its ability to ensure better Internet access to existing and potential employers. Centennial's business community complains that the lack of high-speed connections hold them back. A part of the Cincinnati metro region, Hamilton sits in the extreme southwest corner of Ohio. The community of 63,000 will soon expand its fiber resources to spur economic development and improve education opportunities. Eric Schwartzberg from the Journal News reports that the City Council recently voted to support the city-owned electric utility's proposal to create a broadband utility and build a data center. Hamilton is a full service community, also offering sewer, water, and gas. 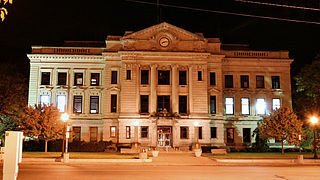 Hamilton's municipal facilities have used the city's fiber I-Net for over nine years, reports Schwartzberg, and they believe it now makes sense to connect schools and local businesses while opening the network to independent service providers. [Mark] Murray [a project manager for the city’s underground utilities] said the opportunity to offer broadband to businesses and schools is similar to what Hamilton does with the electricity it generates. “When you start to see this type of facility go in, it’s not unusual for regional or national start ups to want to take advantage of the opportunity to tap into our fiber network,” [Murray] said. In January of 2012, the City's We Connect People Sub-Committee began investigating how best to use the City's fiber. They hired Magellan Advisors who estimates the project costs at $4.3 million to expand the fiber network, purchase equipment and build the data center, and to use for future capital improvements and maintenance. Murray said positive operating revenue would be expected in 2017 and 2018 would very likely show net income.